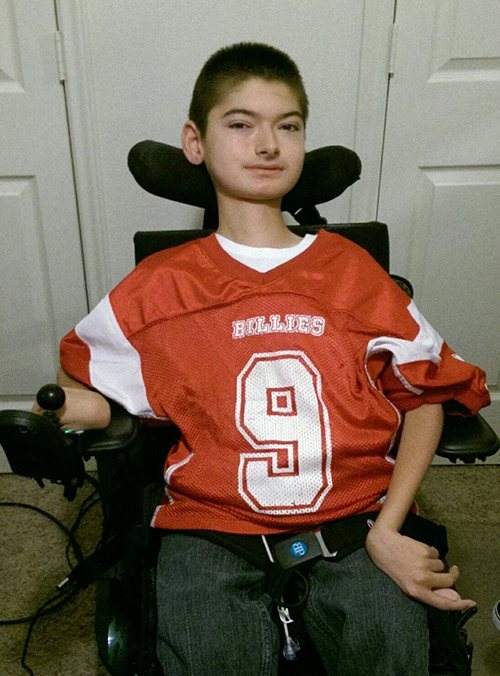 Cody is 14-year-old freshman at Fredericksburg High School in Fredericksburg, Texas who enjoys watching movies, drawing, and playing video games, especially Minecraft. Cody is an exceptional student who loves science and engineering. In January, Cody was able to try out the Kinova JACO assistive robotic arm. Over the course of two days Cody used JACO to eat, drink, reposition his arms and legs, grab a book and turn the pages, raise his hand in class, write on a whiteboard, and participate in educational activities that required the use of his arms. Having a JACO of his own will have an immediate and lasting impact on Cody’s life, and will help him be more independent at home, in school, and in the near future, in college.